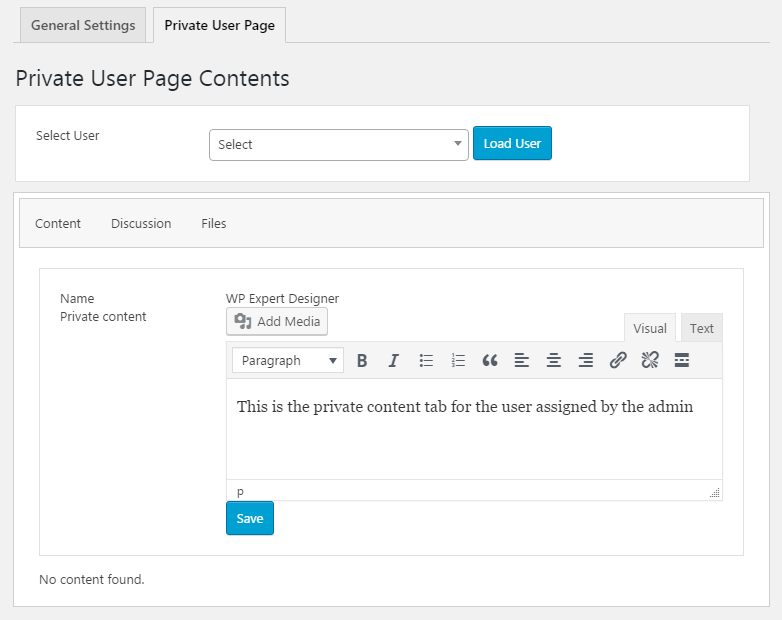 Content tab of the frontend user private portal shows the dynamic content added by admin for each user. 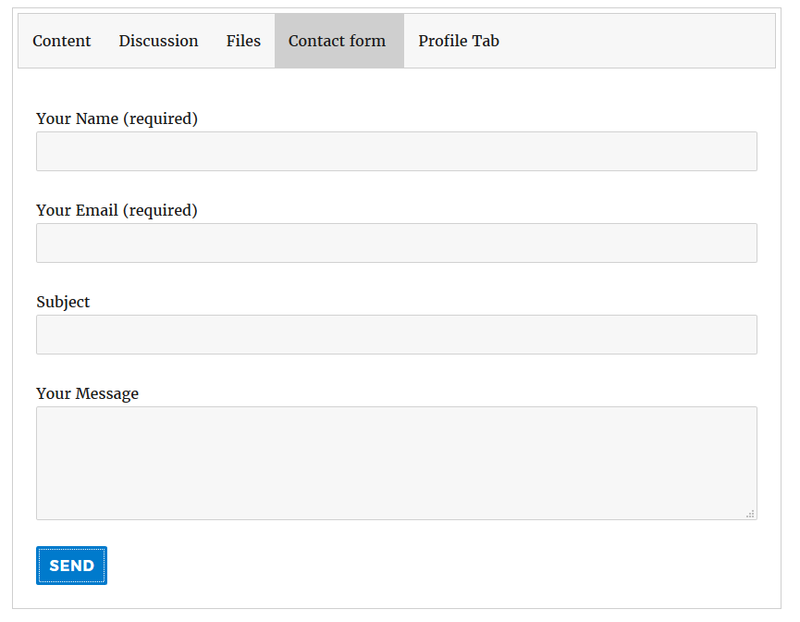 Admin can add text, links, HTML, images, files, videos and various other contents into this tab. Administrators and user can communicate using private messages in discussion tab. User views/creates messages from the frontend user portal specific to them and administrators views/creates messages from the backend private portal.  This tab is useful for discussing the private content on Content tab and the files uploaded to Files tab. 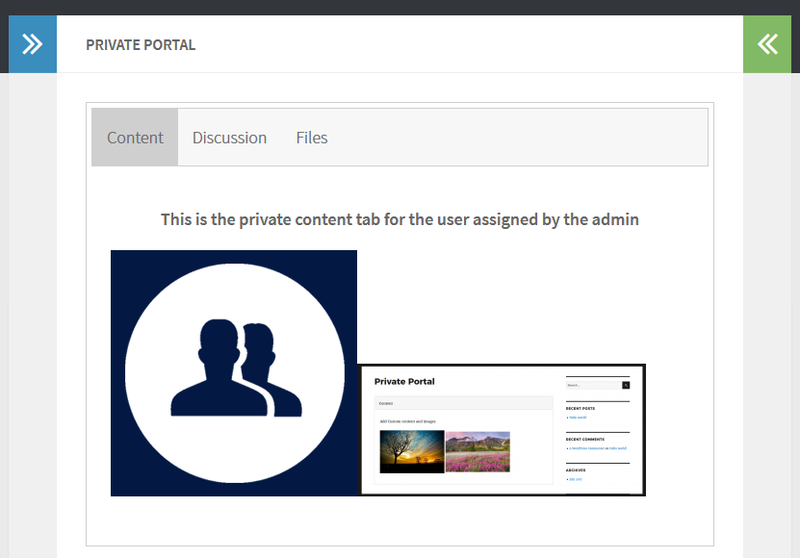 User can upload/view private files using the private tab of user portal. 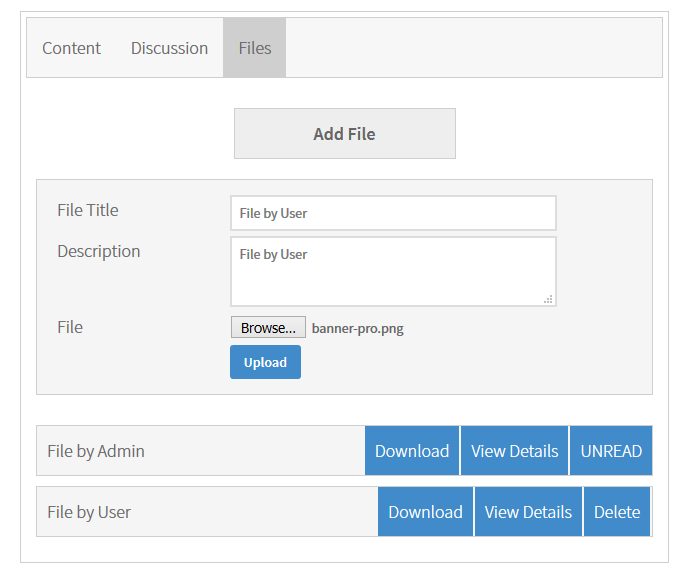 Administrator can share private files for each user from backend and user can view these files from frontend. 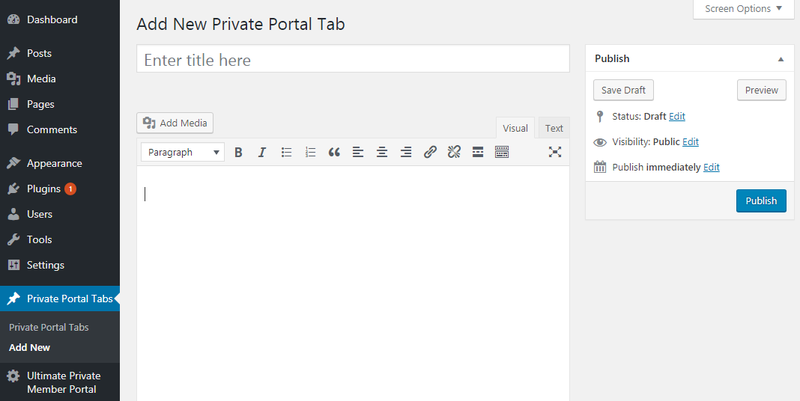 Administrator can create and manage unlimited number of custom tabs using the backend Private Portal Tabs interface. Administrator can decide which whether all members or specific user roles have access to the content of the custom tab using the available settings. 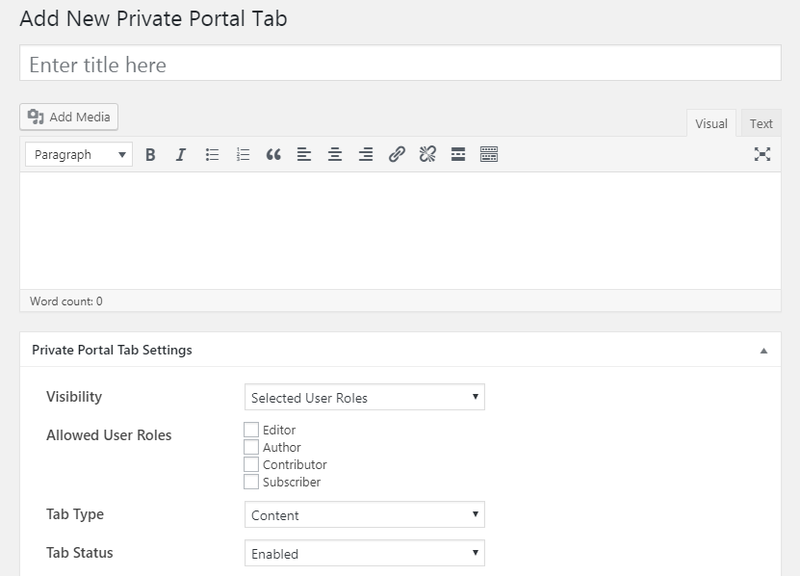 Administrators can view the private content assigned to each user for each tab using the same backend interface. Once content is loaded, admin can add/edit/delete private content for the custom tab, similar to the content tab. Additional tabs will be displayed on user private portal page and user can view the content of each tab from the private portal. Administrators can create custom tabs with predefined features provided with the integration of popular third-party plugins. 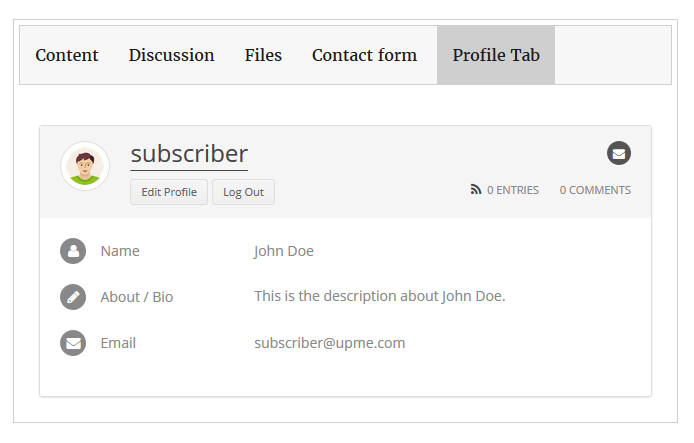 Integration with User Profiles Made Easy plugin allows administrator to add User Profiles Made Easy Profile or Member Directory into a custom tab in member portal. 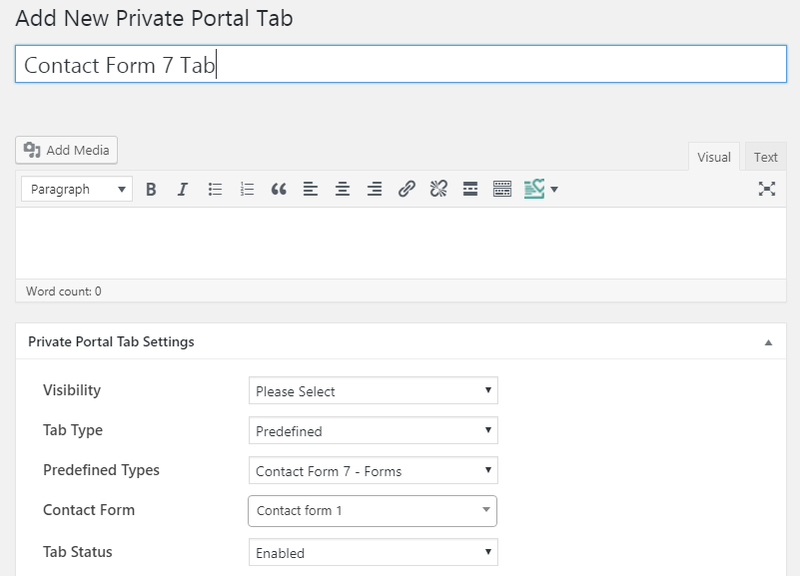 Integration with Contact Form 7 plugin allows administrator to add any contact form into a custom tab in member portal.  This allows users to send private emails to administrators or any person responsible for handling the contact form. 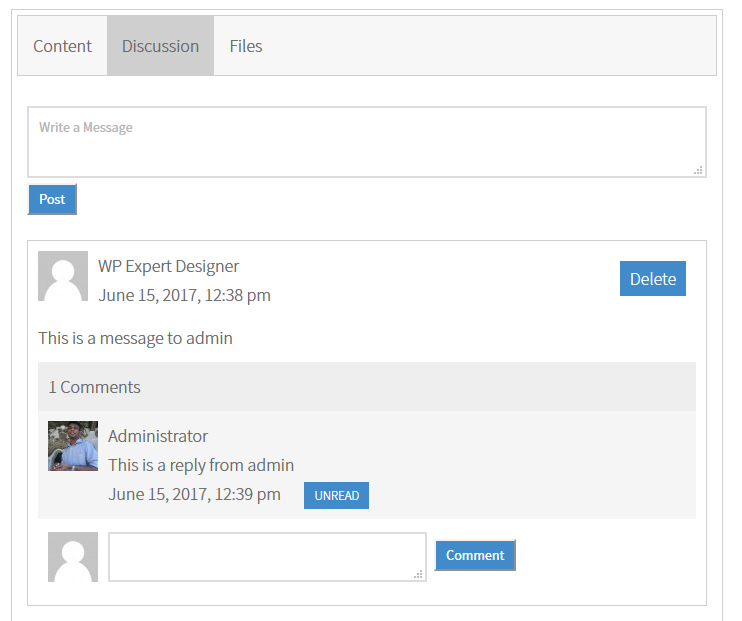 Upload and extract the ultimate-private-member-portal zip file into /wp-contents/plugins folder in your WordPress installation. 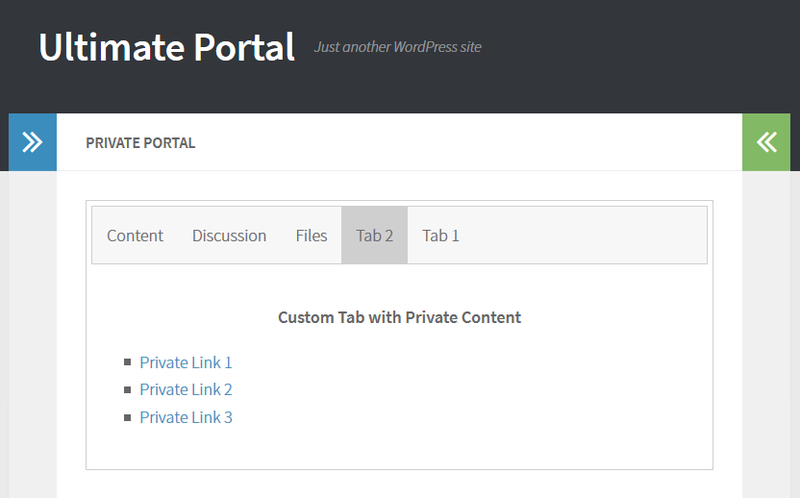 Now you are ready to get started with the private portal. You can hire the developer of Ultimate Private Member Portal to customize existing features or add new features according to your requirements. Please contact the developer at innovativephp@gmail.com for any customization requests for Ultimate Private Member Portal.